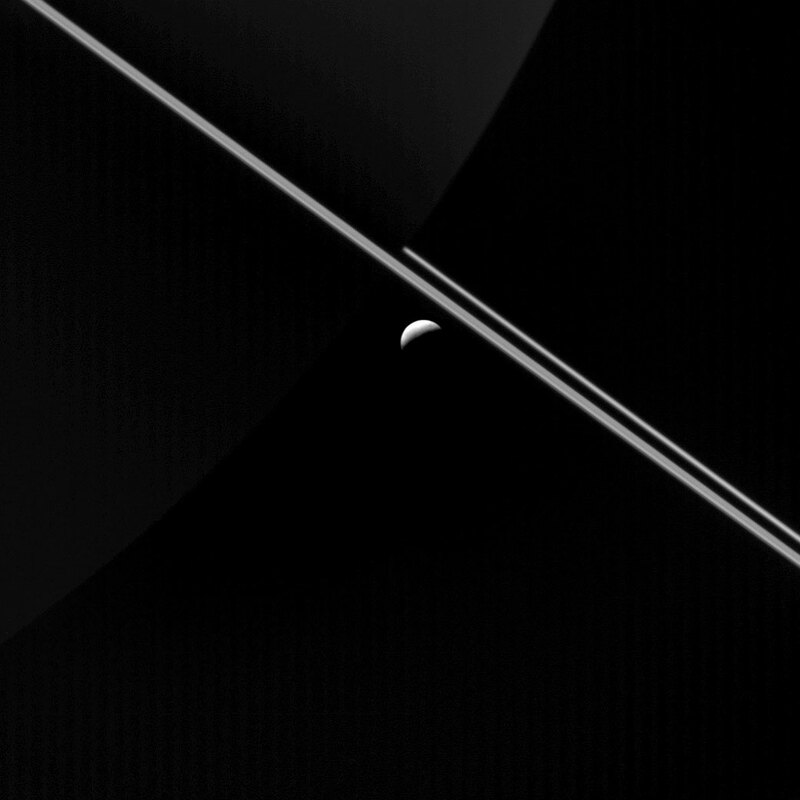 This newly released Cassini image shows Saturn’s rings and the icy moon Enceladus. At first glance, the most obvious features in this image from NASA’s Cassini spacecraft are Saturn’s rings and the icy moon Enceladus. Upon closer inspection, Saturn’s night side is also visible (near top center), faintly illuminated by sunlight reflected off the rings. In this view, icy Enceladus (313 miles or 504 kilometers across) hangs in the space between Cassini and the giant planet. This view looks toward the sunlit side of the rings from 0.14 degrees above the ring plane. The image was taken in visible light with the Cassini spacecraft wide-angle camera on August 18, 2015. The view was acquired at a distance of approximately 87,000 miles (139,000 kilometers) from Enceladus. Image scale is 5 miles (8 kilometers) per pixel. Be the first to comment on "New Cassini Image of Saturn’s Rings and the Icy Moon Enceladus"